Two insurance units of South Korea’s Dongbu Group will commit 45 billion won ($40 million) to a timberland and farmland fund managed by Boston-based Hancock Natural Resource Group, marking the first investment by South Korean institutional investors in a global timberland fund. The open-end fund is seeking to raise 500 billion won in aggregate and will invest in farmlands and timberlands through subsidiary companies of the US real asset investment firm, part of Manulife Asset Management Co.
Dongbu Insurance Co. Ltd. and Dongbu Life Insurance Co. Ltd. will invest in the fund through a domestic vehicle, Dongbu Global Raw Material Fund. Timberland and farmland investment remains unfamiliar for South Korean investors. It took about 10 months for the Dongbu fund of fund to win approval of South Korean financial authorities. The seven-year fund of Hancock will acquire lands available for timber and farm production, and develop or transform them into timberlands and farmlands producing pistachio nuts, almonds and other crops. It guarantees annual returns of at least 4% and allows for early redemption after three years of the fund inception, according to sources with knowledge of the matter on Oct. 18. A possible rise in land values and strong demand for farm products could push the return further higher to above 20% than the expected 9% to 11%, the sources added. The fund will be managed by Hancock Timber Resource Group and Hancock Agricultural Investment Group. 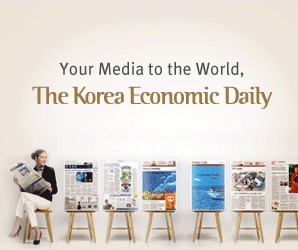 Previously, Public Officials Benefit Association’s Chief Investment Officer Dong-hun Jang had expressed interest in investing in timberlands and farmlands in an interview with the Korea Economic Daily last year.